Organizations are no longer asking "if cloud," but "which cloud?" Whether you've already deployed a cloud solution or you are looking to move to the cloud, you'll find this buyer's guide essential to mapping a cloud strategy that's right for your business. 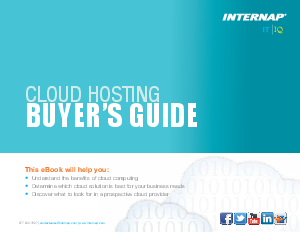 This buyer's guide features an overview of public, private, and hybrid cloud solutions, quick stats for making your business case and 7 key criteria you should consider when evaluating vendors.